Lord Zedd took over Rita Repulsa's moon palace and locks Rita up in the space dumpster again and then he sent Pirantishead to attack the Power Rangers. The Rangers tried everything they had to defeat Pirantishead, but he was too strong and powerful.Pirantishead goes and destroy the Dinozords staring with the Tyrannosaurus. a comment was made to the poll: Who was your favorite Mighty Morphin Power Ranegrs villain? a pop quiz question was added: What did Jason say after the Rangers spotted Tommy once Rita freed him from the Command Center? a pop quiz question was added: Who told Rita to use her spells to release Tommy from his imprisonment in The Command Center? 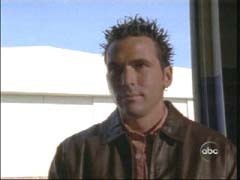 Who was the second Mighty Morphin Ranger that Tommy mentioned when he was telling the history of the Power Rangers?